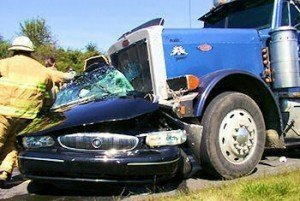 If you have been injured in an accident with a truck, the experienced NH truck accident lawyers at the Law Office of Manning & Zimmerman, PLLC will explain that a truck accident is different and more complicated than a typical motor vehicle crash. Initially, there are often multiple parties who have some involvement. Additionally, the trucking industry is heavily regulated by both federal and state rules and regulations. Lastly, and perhaps most importantly, the sheer size and speed of trucks make a collision between a truck and a passenger car a potentially lethal event. In addition, New Hampshire has its own state-specific laws regarding safe operation. Although driver error is statistically the leading cause of truck accidents, all liability cannot necessarily be placed here. Proper training is a fundamental aspect of safe truck operation. 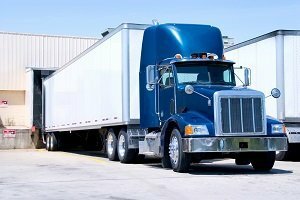 Unless you have been behind the wheel of a large commercial truck, it’s hard to imagine the momentum created by driving such a large vehicle at freeway speeds. Braking, turning and simply maintaining lane presence are skills that need to be developed. It is each trucking company’s duty to be sure each driver who provides services is properly trained. Safe operation involves more than skill, which is why the FMSCA mandates certain maximum hours of time behind the wheel. Of course, the driver is clearly responsible for adhering to the appropriate hours, but realistically, the trucking companies often share complicity in driver fatigue issues. Companies often post “desired” or “optimal” schedule times that are unrealistic, and may also offer incentives for early arrivals. In essence, this encourages drivers to exceed driving times or posted and safe speed limits to get the job done quicker. Potentially there are multiple players in determining liability. Regulations require drivers to inspect their trucks before each trip, but such inspections have their limits. A driver may be able to observe a worn tire lacking adequate tread, but is unlikely to be aware of a pending brake line failure. Should the trucking company that owns the permits and operates the business be responsible for this, or is this a duty of the owner of the truck, or is it the responsibility of both? The insurance carriers for the trucking industry understand the potential liability exposure attendant with a truck accident and get their investigators on the scene quickly, often within hours. It may come as no surprise that each insurer will seek to place blame on another party. For example, the driver blames the truck company, the company blames the truck owner, and the owner blames the driver. There are several entities looking out for the interests of those who caused the accident – you need the experienced NH truck accident lawyers at the Law Office of Manning & Zimmerman, PLLC on your side to unravel the facts. If you have been injured in a truck accident, it is vital that you receive the compensation you deserve. Call the experienced NH truck accident lawyers at the Law Office of Manning & Zimmerman, PLLC at (603) 624-7200. An experienced Manchester car accident lawyer at the Law Office of Manning & Zimmerman, PLLC understands that even seemingly clear-cut cases of fault in a car accident can become muddled if the matter becomes contested. Often, the only individuals involved are you and the other driver, and your ability to recover for your damages and avoid liability will turn on proving that the other driver was the negligent party. Of course, if there are any injuries, that takes priority over everything else, and you must do whatever is necessary to get the necessary medical care. Additionally, you are required by law to exchange information with the other driver, but be careful what you say. It is quite common and very understandable to be upset and out of sorts after an accident, but your words can be used against you. For example, you may say “I’m okay” meaning simply that you don’t need an ambulance although you are sore or uncomfortable. The other driver’s insurance company may then try to use this to show you were not injured. After a collision the first priority should be making sure that any emergency medical needs for anyone involved in the crash are addressed. When the police arrive, make sure you provide them with any information you may have about the collision so they can begin fully investigating the cause. If you are having any pain, make sure the police are aware of this as well, and be aware that in some cases emergency medical providers may recognize that medical treatment is necessary although you might not have thought so. If there were injuries or significant property damage, there is a high probability the police responded and a police report was compiled. As a party involved in a car accident, you have a right to request a copy of the accident report. In some cases, the police report will indicate that a citation was issued for a traffic violation. Absent a citation, the police report may indicate that the other driver was in some manner careless in driving and caused the accident. In other instances, the police report may detail the facts of the incident, such as time, weather and location, without indicating if either party was negligent. As a Manchester car accident lawyer will tell you, it is important to remember that the police report is not an absolute indicator of who is liable for the accident, but it can be very persuasive to the insurance adjuster assigned to your claim. If there is no police report, you may find yourself in what is commonly referred to as a “he said/she said” scenario, where you and the other driver have very different versions of what occurred. If so, the more precise you can be in recounting the facts, the better. An experienced Manchester car accident lawyer at the Law Office of Manning & Zimmerman, PLLC may be able to use these facts to help determine factors such as the speeds of the vehicles, to locate witnesses, or to otherwise help determine who was responsible for the collision. Some accidents, by their very nature, tend to point liability toward one driver over the other. A rear end collision is a prime example. A basic rule of the road requires a driver to operate their vehicle in a manner that allows safely stopping behind another vehicle. The implication is that if your car was struck from behind, the other driver was negligent by following too closely, driving too fast, or simply not paying attention. Similarly, the driver of a car making a left turn is typically considered at fault if he or she collides with a car coming straight from the other direction. Of course, these are generalizations and may be contested by a showing of other facts, which may indicate some fault on the part of both drivers. 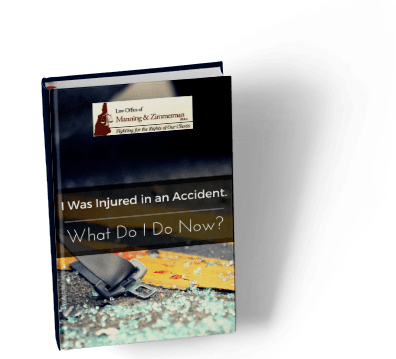 Under New Hampshire law, your own negligence does not bar your recovering from the other party as long as you were less negligent than the other driver in causing the accident. At the minimum, if you were involved in a rear end or left turn accident, the facts of what occurred are less likely to be disputed. Even a simple fender bender can become a hotly contested matter. Don’t rely on your insurance company to look out for your best interests. Get the facts and explore your options by calling the Law Office of Manning & Zimmerman, PLLC at (603) 624-7200. Greg is married and the father of three small children. He is driving home from work when a distracted driver blows through a stop sign and slams into his car. After a long hospitalization, two surgeries, extensive physical therapy, and two months away from work, Greg contacts a lawyer to help him and his wife sort through a mountain of bills and car insurance red tape. 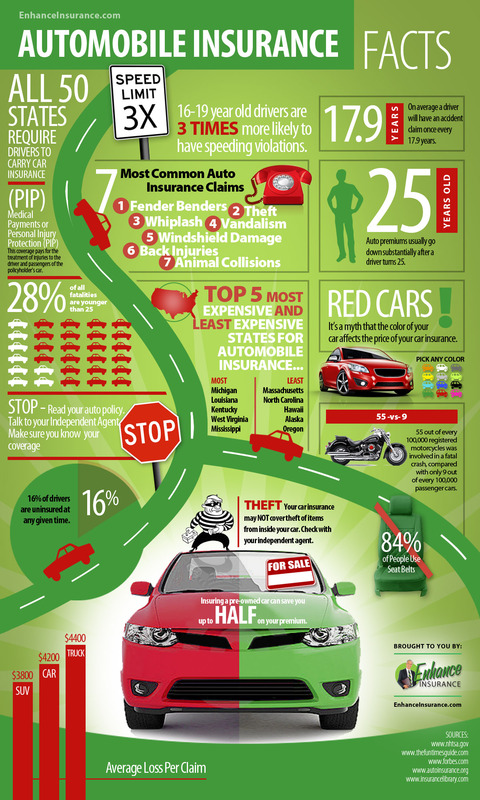 Auto Insurance Facts Infographic. Click here to expand. If you are at fault in an accident and the other driver’s damages exceed available benefits, you can be held personally liable. In other words, you could lose your savings or your house. And while the minimums in your policy might seem like a lot of money, it can quickly vanish. Many car insurance experts suggest beefing up liability limits to at least $100,000 for injuries caused to one person, $300,000 to two or more and $50,000 for damage to the other car. Even more might be required if you own a home or have appreciable assets. Also consider adding relatively inexpensive “umbrella” coverage to your existing liability and uninsured/underinsured benefits for more protection. One in eight drivers across America is driving uninsured, according to the Insurance Research Council. Many more drivers carry minimum liability protection. If you are in an accident with a uninsured/underinsured driver, you may need much more coverage than the minimums available in your car insurance policy. Your first priority should be protecting yourself and your family with adequate levels of liability and underinsured/uninsured benefits. If you’ve achieved that goal, then decide if the annual cost of comprehensive or collision makes sense given the value of your car. 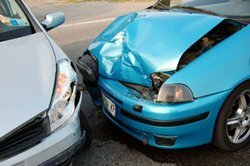 If you get into an accident and have to file a claim, will your car insurance company be prompt and helpful? What is their financial rating? Do some research on any car insurance company you are considering. Check with the NH Insurance Department to access financial ratings, and use websites like Consumer Reports or the Better Business Bureau to investigate a company’s customer service record. Before you sign any policy, read it through completely. Request a detailed breakdown of all charges and make sure you are paying exactly what the car insurance company has quoted. This glossary of insurance terms can help make the lingo a bit less confusing. Ask the car insurance company if they offer accident forgiveness. Under a plan that includes this coverage, your rates won’t go up after your first accident. Multi-Vehicle: Insuring more than one vehicle at a time. Anti-Theft: This discount applies to those who own a car with a theft-deterrent device. Good Student: Full-time high school and college students who maintain good grades. Low Mileage: The average American driver travels 12,000 miles a year. You may be eligible for a discount if you travel below this average. Good Driver: Given to those who do not receive speeding tickets or other types of driving violations. Preferred Parking: Having covered or secured parking can keep your car from being hit in a general parking lot or on the street. The car insurance company you purchased a policy from 10 years ago may no longer be your best bet. David Marlett, Chair of the Department of Finance, Banking and Insurance at Walker College of Business encourages policy holders to shop around every three years. He also suggests that shopping after a major life change – marriage, a child turning 16 or a move to a new city – is a good plan. This is a simplified overview of car insurance coverage. If you’ve been in a car crash, call the Law Office of Manning & Zimmerman, PLLC at (603) 624-7200 as soon as possible to discuss the specifics of your particular situation. If you have lost a loved one due to negligence, the New Hampshire wrongful death attorneys at the Law Office of Manning & Zimmerman, PLLC can explain the legal options you may have to hold the responsible party or parties accountable. Under New Hampshire law, a wrongful death claim may be filed if one party’s negligent, reckless or intentional act caused the death of another person. Although the allegation in such an action is that the defendant’s conduct is the legal cause of the person’s death, a wrongful death action must be distinguished from a criminal charge, which is brought by the government. In some instances, the New Hampshire wrongful death attorneys at the Law Office of Manning & Zimmerman, PLLC will explain that a criminal case will be filed separately from the civil action for wrongful death, but the two cases are independent of one another. Unlike a criminal conviction that may result in incarceration, fines and probation, the only remedy that is available under a wrongful death claim is monetary compensation. Wrongful death cases may be the result of motor vehicle crashes, workplace injuries, medical malpractice, defective products, or other catastrophic injuries. 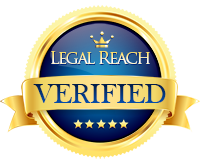 Each state has laws that control who has standing to file a wrongful death action. New Hampshire allows any person interested in the estate of a decedent to file such a claim. Typically, a wrongful death action is brought by the administrator of the estate or surviving family members of the decedent. See this article for more in-depth information on who can bring a wrongful death claim, and this list of frequently asked questions (FAQs). 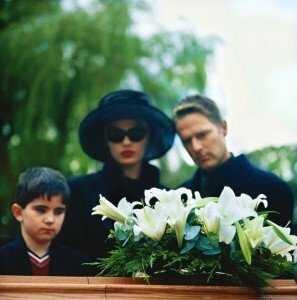 There are different categories of damages that are recoverable in a wrongful death claim. It may be helpful to consider compensation that the deceased could be entitled to had he or she lived, as distinguished from the economic losses suffered by those individuals the decedent left behind. Consequently, damages for the cost of medical treatment incurred by the decedent prior to death may be recovered, as well as any other expenses incurred as a result of the negligent act. This may include pain and suffering. Additionally, funeral and burial expenses are included as damages, as well as compensation for what the deceased would have earned in his or her lifetime. Family members are also entitled to compensation for the loss of care, comfort, and companionship of the decedent, and may also have a claim for pain and suffering damages. 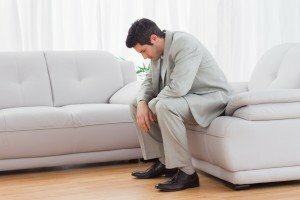 A spouse is entitled to recovery for loss of consortium. In determining the proper amount of damages, various factors are considered, including the age of the decedent. How many years, based on life expectancy data, were taken away? Years of work until the expected retirement age are established and compensation for salary, pension and benefits are calculated. Each survivor had a different relationship with the deceased, and compensation for that loss is based on individual factors. Additionally, the loss of the services the decedent provided, such as cooking, cleaning and household maintenance, is recoverable. 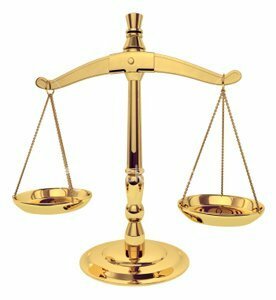 Despite efforts to place limitations or caps on damages, the New Hampshire Supreme Court has generally found caps on non-economic damages in wrongful death cases to be unconstitutional. By statute, however, recovery for certain types of damages are available only to a spouse, child, parent or dependent relative. The general rule is that a wrongful death action must be initiated within three years of the date of death. An exception may be permitted if it is reasonable to conclude that the cause of death was not discoverable until a later time. If the defendant is a government entity, notice of the intent to file a wrongful death action may be required prior to the expiration of the statute of limitations and damages may be limited. New Hampshire is a modified comparative negligence state, which means that recovery is not barred if the decedent was, in some measure, responsible for his or her own death, as long as the defendant’s fault exceeds that of the deceased. Wrongful death actions involve an extremely complex are of law. For compassionate and experienced counsel, call the New Hampshire wrongful death attorneys at the Law Office of Manning & Zimmerman PLLC, at (603) 624-7200. 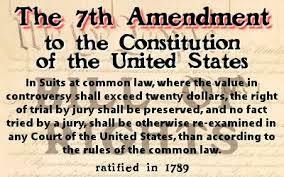 Why does the 7th amendment to the United States Constitution matter to our system of justice? Record a video of up to two minutes discussing the importance of the 7th amendment and why it matters to the Constitution and our system of justice. Title the video Manning and Zimmerman Scholarship Entry and include this link: www.manningzimmermanlaw.com/scholarships in the description. All submissions are due by May 1, 2016. The recipients will be chosen and notified on June 1, 2016.